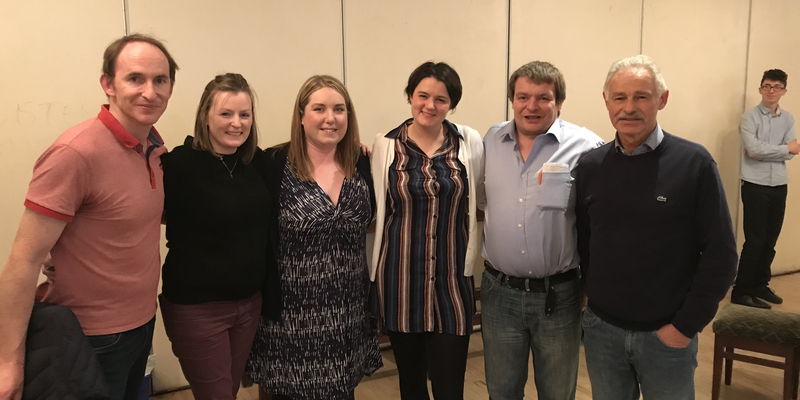 On Friday 10th November, Leixlip Tennis Club held its now annual quiz in St. Mary's GAA Club. Although a shock to the system when first introduced a few years ago, with unrepeatable utterances to the appearance of dingbats, crosswords, anagrams and alphabet soup in the same quiz, I believe people have adapted to the unique format. The aim, of course, is to remove the urge to reach for the phone and to spend more time head scratching and figuring stuff out with a pen and paper. Although the aim, somebody did say to me that would easily have won if the GAA club had better wifi! The quiz was well supported and I'd like to thank all those who came along on a damp night when they otherwise could have stayed at home watching The Late Late Show in front of a nice open fire. In particular, I'd like to express a huge thanks and welcome to new members. I hope you enjoyed your night and that you will be back again next year. Well done to Brenda Howley and her band of merry quizzers (aka Lettuce Turnip The Beet) for doing the two in a row, but it was just by the skin of their teeth. They finished joint first with The Dirty Cousins! after 7 regulation rounds, and it took a tie-breaker question to separate the two teams in the end. There was no shortage of raffle prizes on offer on the night, including a microwave, 4-ball round of golf, power drill, hampers, a visit to the barber for a short back and sides, beauty therapies, and much, much more. Special thanks goes to Des Bradley for organising the microwave, Gillian Machin for the round of golf, Hijack Tools (The Dowlings) for the power drill, Trish Medcalf for the hampers, Paul Stone for the short back and sides, and Mary Browne for the beauty therapies. I know lots of people brought along something as a spot prize, and I would sincerely like to thank all of you. Without your good will, nights like this would not be a success. Lastly I'd like to thank my helpers. A special thanks goes to Sean Kavanagh, Des Bradley, Mary McCarthy, Cate Moore and Annmarie Dowling for selling raffle tickets. I would also like to thank Sheena McHugh and Billy Brennan for correcting on the night and chalking up the scores. You all did a sterling job! All in all we raised €1055, which is a tidy sum of money and will go into our ever growing clubhouse fund. Thanks again to everyone for their continued support and we hope to see you all at our next quiz.